I have a new book out. Yay!! I haven’t had a book out since July which–for me–is a really long time. That’s what I get for having four releases in six months last year! The first draft of ‘Newborn Gift’ originally featured an opening scene in which the heroine was walking into a remote hospital to undergo an embryo transfer, impregnating herself with her sister’s babies. That premise didn’t work for that story and so I put it in my ‘come back later’ file, but the idea never left me. It would emerge at the worst possible moments–when I was supposed to be concentrating on another story–and jump up and down demanding my focus. And so I finally gave it the attention it craved and–ever willing to do its own part–my subconscious had half-written the story in the interim. And so the premise was born: a woman who has fought the courts to be allowed to implant her (dead) sister and brother-in-law’s embroys inside her in order to keep them in the family. The mystery brother who appears, still dusty from the outback to throw a spanner in the works. And the only reasonable solution to a situation in which possession really is nine-tenths of the law…? My first MOC story and I didn’t even intend for it to go that way. I thought I was writing a virgin-birth hook. What did I know! My subconscious had it all in hand. So there I was, happily describing the awful scene in the hospital in which the hero slaps a legal injunction on the heroine to prevent the embryo transfer and suddenly he blurts out the short-term solution to their legal problem. Even he didn’t see it coming. If she has the disputed babies inside her (possession) then he would equal the playing field by keeping them (and therefore, her) with him on a property in the highlands of Australia until the courts had finished hashing it out. Well…alright then! 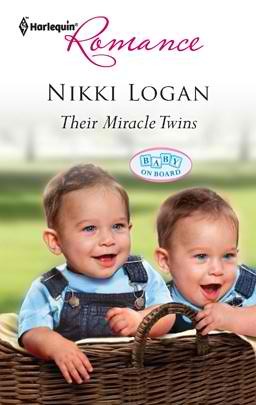 Their Miracle Twins was born. Cue fabulous Aussie setting, cue gorgeous family, cue deception. My poor heroine who is so starved for a loving family… the moment she finds one it’s not one she can keep. 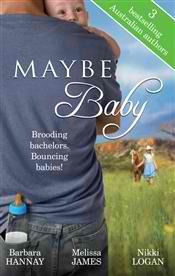 Same with the hero, the moment she finds a man she might love, he’s only in it for the embryos. I’ve learned not to argue with my subconscious in life. It’s almost always right. So I don’t know why I don’t trust it more in my writing. Clearly it has a plan!